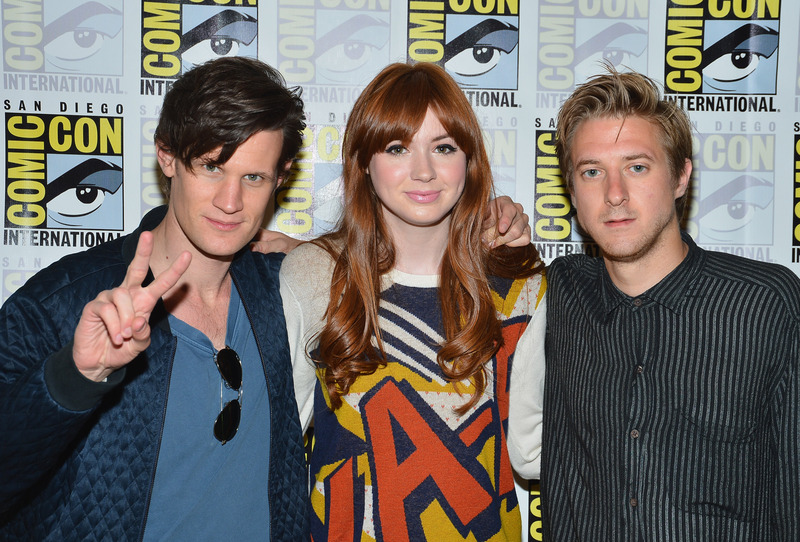 Get ready, because Comic Con 2014 is coming. I know it was especially hard to get tickets this year, but don't despair. Surely our favorite Tumblrs will keep us updated with hilarious .GIF sets and shaky iPhone video clips of key moments. Plus, there are sure to be lots of great articles to read here at Bustle, as well as lots of amazing cosplay to gawp at. With all that to keep track of, it may be hard to focus on anything else. That said, I always love watching the fashion at Comic Con. It may not be as exciting as the elaborate handmade cosplay constructions or the sworn-to-secrecy spoilers dropped at the panels, but it's still a good deal of fun. Jenna Louise Coleman wore an adorably printed, pleated-skirted, long-sleeved Antipodium dress paired with pink suede pumps and a classic red lip to last year's Doctor Who panel. Freida Pinto stunned in chartreuse scuba-inspired Michael Kors a couple years back. The Khaleesi generally has a solid red carpet portfolio — largely hits with very few misses — and she didn't disappoint at Comic Con. When she was making the rounds for The Mortal Instruments last summer, Lily Collins kind of became the defacto crop top queen — and this Paper London ensemble marks one of her very best looks. Maybe I'm biased because this particular Valentino number reminds me of Shosanna's showstopping dress from Inglourious Basterds , but I kind of love it. Extra points for the fact that she was appearing for the Firefly panel. Emily Blunt wore this gorgeous violet and navy Wes Gordon dress to promote The Edge of Tomorrow alongside Tom Cruise. Nothing like wearing an eerily accurate facsimile of your own face. This 3.1 Phillip Lim number is super on theme, and one of the best non-cosplay Comic Con outfits ever, IMHO. Ka-Pow, indeed. The top prize has to go to David Boreanaz, pictured here in a Hawaiian shirt, athletic shorts, and tube socks — with a handy assist from the rest of the cast of Buffy the Vampire Slayer, plus what appears to be an inflatable headless sumo wrestler.